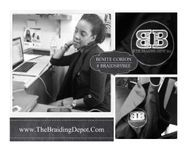 The Definition of Permanent Dread Extensions by Benite Corion aka Braids by Bee @ The Braiding Depot inc.™ Ceo and Founder Copyright and Trademark Services. 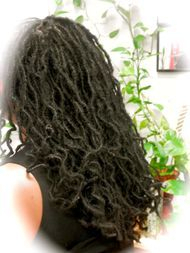 FAUX LOCS - Faux Locs is the term for "Fake Dreads" and is known to wear as a style not permanent. This is done with synthetic Marley hair sometimes some use some kanekolan hair on ends to make look natural all around this is a temporary look and not done if you want to start your journey and start growing your own locs and have the look you want right away. INSTANTLOC DREAD EXTENSIONS™- Installing Permanent Dreads by wrapping your current hair into prepared section and create Instant Dreads with human afro hair that matches texture of hair. You skip ugly stages and have the look you want right away. VIRGIN INSTANTLOCS™ - Human natural locs that are recycled from another human being, hair that was donated to someone to attach, or hair sold by Bee™ limited quantity. 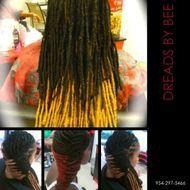 Benite Corion is the owner of Braids By Bee™ Salon and invented her own technique of Dread Extensions called Instantloc Dread Extensions™ Braid By Bee own the rights these services are registered trademark service with the U.S.P.T.O. I’m Bee aka. The Dread Doctor, the owner of Braid By Bee at The Braiding Depot inc™ but also known as DreadsbyBee, and I’m here to offer a new, unique and amazing high-quality hair braiding product miles ahead of any competition you can find! A lot of people today want the look but do not wish to invest in high quality products that use real hair. Instead, they prefer to invest in products that use synthetic hair and are hence much cheaper. However, such products come with hidden costs in terms of the look and its longevity. For example, I’ve seen many young people today go in for a product called Faux Locs, which uses low-cost synthetic hair called Marley Hair, and then come to my Salon to correct their errors because they weren’t satisfied with the fake hair. They complain of the Look of being shiny, and it unravels, and they love the look but the quality is not there. Faux Locs have been known to get sticky and tangle together as well and get way too frizzy. In some cases they unravel and look to shiny implying they are synthetic dreadlocks. Another thing I’ve heard users complain about is the sheer weight of those things and how painful it can sometimes be to be hauling those extra pounds on your head. My product, InstantLoc Dread Extensions™, side steps all these problems and gives you a natural, long term look free of hassles. Braids By Bee™ use real, high quality, organic hair in my extensions ™ Also warning many people imitate Braids By Bee™ work and does not know How Braids By Bee™ does her InstantLoc Dread Extensions. Braids By Bee has a protocol and keeps her clients for years to come when installing these Dreads, She believes in hair growth and starting a new journey with clients who wants this look with a passion but one who wants quality work done and by the Originator herself. The Definition of Instant Dreads by Bee or what we call Dreadlock Extensions is to create Dreadlocks in one day with the help of human hair added to create the look of Dreads. 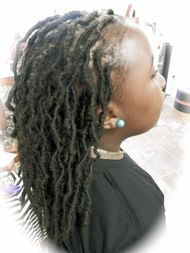 Lately, the term Faux Locs have been mention, and this is just a term or made up name for Dread Extensions. Faux Dreadlocks also mean fake and only temporary. The Term "Faux" is a french word and means Fake. I teach clients the difference if they want to just have the look or want to have the permanent look of Dreads and start growing your dreads naturally after being wrapped. 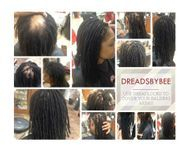 Braids By Bee™ does not do Faux Locs even as a style not worth the time or the damages it will do to client hair when removing. Braids By Bee believes in hair growth, keeping what you have and enhancing the beauty of it. This site exposes the techniques Braids By Bee™ uses to start dreads. This method can be used on locks that have been started already however very unruley not maintained. This can be used to extend your dreads if you want longer length, This can be used to reinforce broken dreads that have fallen out from wear and tear of real dreads. This can be used to cover balding areas or give more body (dreads) to existing dreads. This method can be used to start dreads with permed hair and no longer have to cut off all your hair to start dreads. Bee can overide this madness by giving you instantlocs as soon as today. I offer free consultations to give you a personal introduction to my options of how we can start your lock journey. 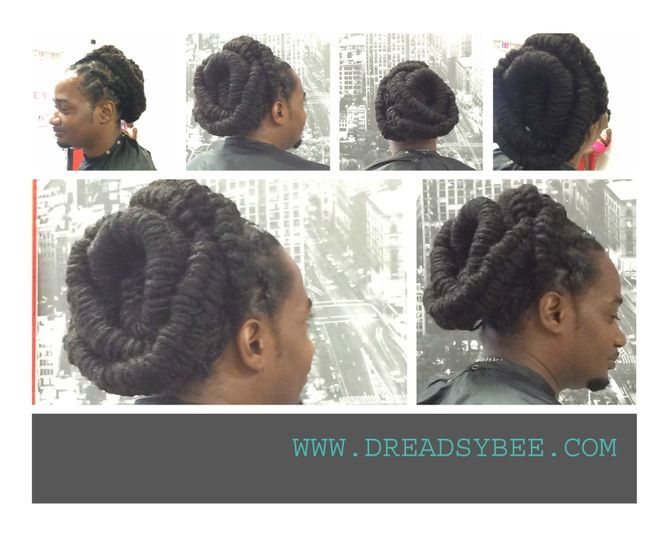 I have made it my business to create this site to expose what we do @ Braids by Bee @ The Braiding Depot Inc.and to expose photos, reviews, and information about what we do. 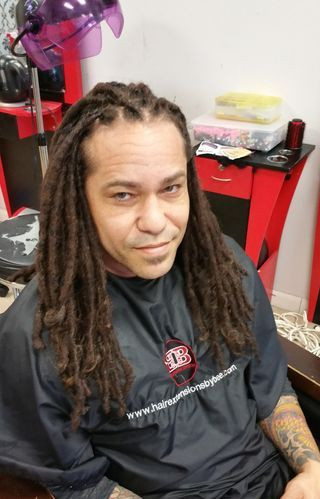 We offer one on one consultations to offer you options on how to start dreadlocks. Most of the time most people think they have to start there dreadlocks with there naturall hair, cut off permed hair, and wait for 2-3 months for hair to dread. What we do is create ways to give you instant locks with the hair you already have. Some people are either going natural, or wants dreads but don't want to to wait for the time it would take naturally. Well what we call Instant Locks is Human hair wrapped around your hair that is sectioned in parts to create dreads instantly. We use a particular brand of hair and don't use synthetic hair only human hair used to start your dreads. We also fix natural locks that are thinning, or have fallen out, we fix balding areas by creating a bridge to add more locks to give hair more coverage. I love to create the look people are looking for an can accomplish it, however how I accomplish it is different from many others. I appreciate seeing my clients acquiring the look they are looking for, watching there hair grow so fast they don't no how to keep it up. We also do techniques to end the hair with no signs of ending. We don't burn ends we don't use any glue. Well this site is cater to Dreads, starting them naturally and with extensions is my specialty. This persons hair was completly short and wanted a full set of locks. These are yor options to book online click tabs for instant locks however hair must be paid for first. 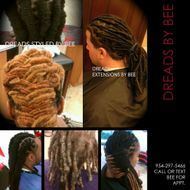 Can also book a live consultation visit on this site if you want to come in and discuss your options in starting dreads. Bee samples your hair and tells you the prices and you will be required to leave deposit for hair to schedule your appt. We create locks and can wrap your dreads in diffrent colors instead of dying your hair. We extend them, fix them using human hair. We don't disclose the hair we use publicly for privacy reasons. Hair must be paid for in advance before your scheduled appointment and can be paid for below. We cater to making you look the way you want once you leave the shop. We match your hair color as best as could. Do you have dreads now but they are growing shaped wierd and want to correct them. Do you Suffer with any balding areas, due to dreads that have fallen off because they thinned out in the roots. Do you suffer from many patches in between your locks? Well Bee has a solution for it. Send me photos ask questions by emailing me at this tab below. When email is recieved Bee will respond in a timely matter her suggestions, quotes and options of how you can start your dreadlocks to day. Been in the business for 20 years and still counting. 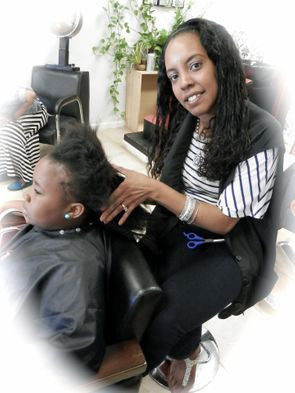 Not just a stylist and a shop owner but a friend to the community that she serves. Bee keeps in touch with her clients and shares her world with the social sites cause she loves what she does, and don't mind to show her own work and work that comes only from her shop is publicized. 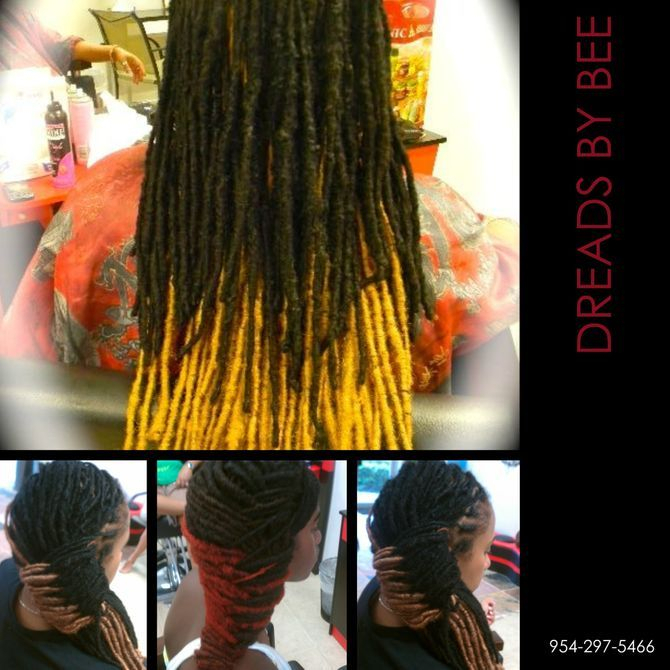 First Shop in Broward county that is and Upscale Braiding shop, no waiting more than 30 minutes because we work by appointments. We also give you express service. Many expect to be in shop all day so they bring snacks, movies, ipods, ipads, laptop no problem all that is still welcome, however you will only be there from 4-6 hours the most. We have wi-fi for your convenience, and have a private restroom on premises. We also give you advice of what you should do to keep up your hair style, keep hair loss to a minimum so your dreadlock journey will be a growing beautiful experience. 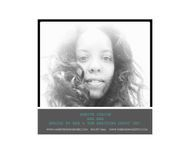 Dread Repair on all types of hair textures and all hair issues can be dealt with. Instantly Dread Extensions because of the technique used can be done on any type of hair texture. Starting dreads from scratch may be a challenge to most but to Bee its not with the techniques and protocol put in place to give you the look you want today. Braids by Bee aka Dreads by Bee is the best Loctician an originator of her own style and technique of starting each individual dreads. For more info read the reviews look at the photos and any questions just ask. 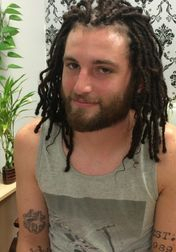 Starting Dreads Naturally with InstantLoc Dread Extensions technique. Sisterlocs done with InstantLoc Dread Extensions technique. Best Loctician to start Dreads on any type of hair texture. Clients that are Serious about there hair and wanting the right quality type of service will travel from far to come to Braids By Bee for her expertise. Clients that are well known by Bee take flights or Drive sometimes even taking Greyhound to get to Bee salon. Clients from GA, CA, NV, VA, LA, NY, FL, CT, NJ, PA, WI, AL, TN, UT, CO, AR, AL, KY, ID Clients that fly in from out the U.S. so in other words clients are never to far to get the BEST.